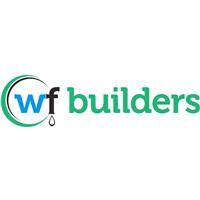 WF Builders your local Plumbers, Gas and Boiler specialists covering the Croydon area, for more information of areas that we cover please see the bottom of this page. We pride ourselves on a first class service and customer satisfaction is our main priority. WF Builders want to make sure our customers are able to have their plumbing needs met at any time they need us. All our engineers are fully qualified gas safe registered engineers, trained to an exceptional standard making sure you receive the highest standard of workmanship from us always. The next time you have a plumbing or heating emergency or need a quote for a new boiler make sure you bring in the experts, WF Builders. Please also view our Facebook page.